The above shown bronze backet (made in 1818) have been called "Tensui Oke". 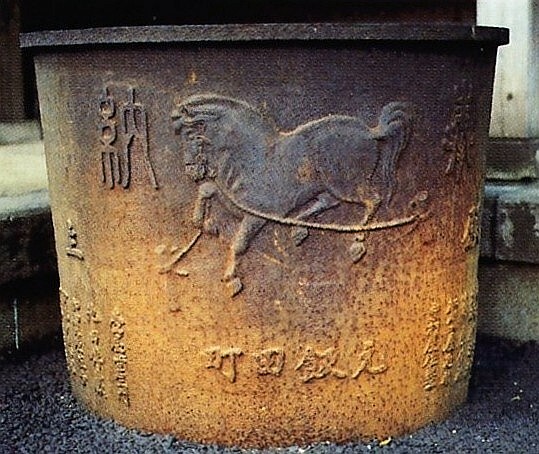 A image of the horse on which Masakado rode is carved on the backet. The carving is a monumental work.